Both the 2014 Honda Accord and the 2014 Honda Civic are two of our most popular vehicles at our Mechanicstown-area Honda dealership. Each is a great choice for personal use and for transporting an average-sized family. They’re also both available in sedan and coupe body styles, and they come with a reputation for reliability and all-around quality. You may be wondering exactly what the differences are between each vehicle. You can see them for yourself at Middletown Honda, but in the meantime, this page will certainly help. Perhaps one of the easiest ways to determine which vehicle suits your needs is by considering space. The Civic is considered a compact car while the Accord is a midsize model. That translates to a difference in length of close to a foot and approximately 10 cubic feet of cargo space. 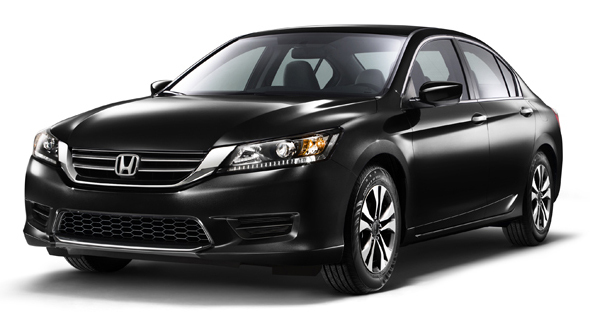 Both vehicles can fit five passengers, but you’ll have more head, shoulder, hip, and legroom in the Accord. There’s also about three more cubic feet of trunk space. Then again, families around Mechanicstown are going to appreciate the extra space in the 2014 Honda Accord. An Accord will also be better-suited to people who like more power from their vehicles. The standard 2.4L four-cylinder produces 185 hp and 181 lb-ft of torque — compared to the Civic’s 143 hp and 129 lb-ft of torque from the smaller 1.8L four-cylinder — and you have the option of getting a 3.5L V6 that can produce 278 hp and 252 lb-ft of torque. Besides size, the major factor in deciding between the two may be price. 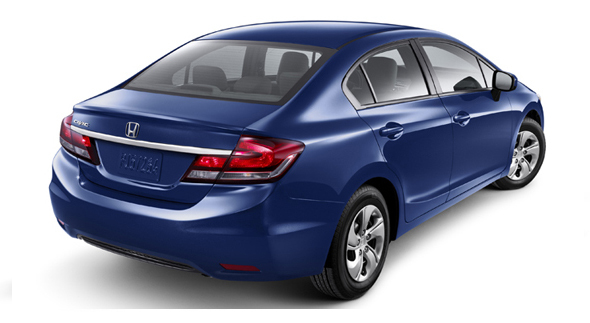 The 2014 Honda Accord LX sedan starts at $22,755 while the 2014 Honda Civic LX begins with an MSRP of $19,190. Some Middletown drivers may find their tastes are more in line with the Accord’s luxury, professional looks while others will prefer the Civic’s lower price. Either way, both vehicles come with an impressive amount of standard features. A display screen, Bluetooth, rearview camera, and Pandora compatibility come with each base model. Each vehicle can also be equipped with more advanced features like navigation, too. While both the Civic and Accord are great vehicles, the bottom line is: which is going to be best for you? The 2014 Honda Accord will be better-suited for Middletown families with one or two children who need more space, professionals looking for a stylish vehicle, and drivers who value higher performance. The 2014 Honda Civic will be the better choice for younger drivers in Mechanicstown and beyond who are looking for a reliable vehicle, commuters looking to save on gas, and people who live in urban environments with tighter streets and parking. We understand you may still not have made up your mind just yet. The way to make the final decision is to come to Middletown Honda and take a test drive. We’re located at 520 Route 211 E. in Middletown, NY, less than a ten-minute drive away from Mechanicstown.